Poppy got a new golf cart last week and he couldn't wait to take the girls out for a ride! His old cart was oooollldd and he was definitely in need of a new once since he plays golf 3-4 times a week. His new one is super fancy with lots of bells and whistles and we think it suits him well. 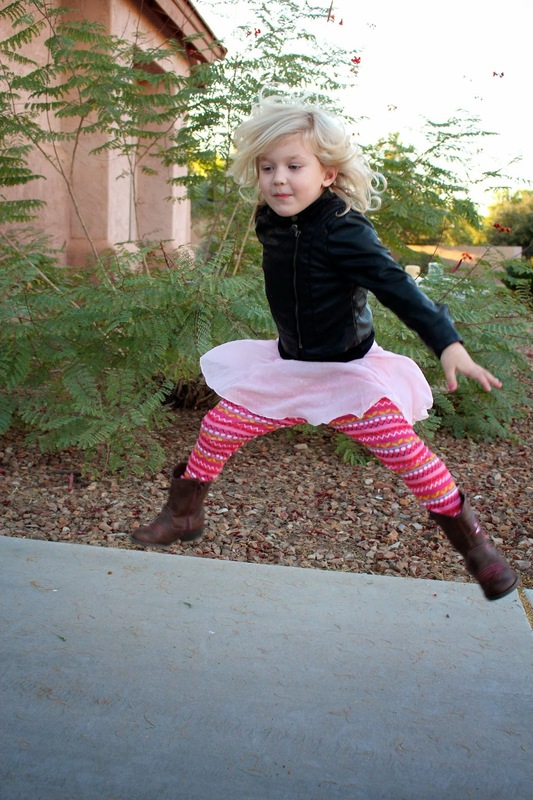 ➹ Leather jacket, pajama pants, ballerina skirt and cowgirl boots. Poppy and the girls look good in his new cart. I like the fact that Olivia ask Poppy what his rules were for the cart!! She told her Poppy that his cart was amazing. Syd said yep, mazing! I'm a lucky guy, beautiful cart and two beautiful girls to ride with. It just don't get any better than that. I love haven my baby girls with me.